Independent game developer Fishing Cactus has announced that Algo Bot is available for $9.99 USD. 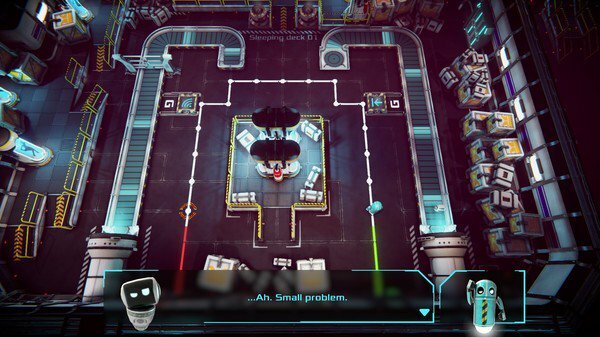 In Algo Bot, players control the movements of a robot, using basic programming skills to solve puzzles. Set aboard the pan-galactic colonization ship Europa, over 46 levels, players must devise algorithms to control Algo Bot’s path, borrowing concepts from the programming world - including variables and subroutines. Algo Bot is available on PC via Steam. Algo Bot is ranked #882 out of 1436 total reviewed games. It is ranked #67 out of 146 games reviewed in 2018.